SchlegelGiesse is the International Division Tyman PLC, quoted on the LSE. SchlegelGiesse provides innovative and high quality engineered components for the fenestration industry. SchlegelGiesse products are sold into residential and commercial applications all over the world under the Schlegel brand for sealing solutions to aluminium, PVCu and timber applications and the Giesse brand for hardware systems in aluminium doors and windows. Since 2016 SchlegelGiesse is a combined business of Schlegel from the UK and Giesse from Italy. The international division of Tyman PLC is one of the global market leaders in sealing systems for different sectors and an important player in the field of high-end hardware solutions to the aluminium fenestration industry. Schlegel International cooperates with sister companies ERA (UK) and AmesburyTruth (USA) and together they serve customers across the globe. 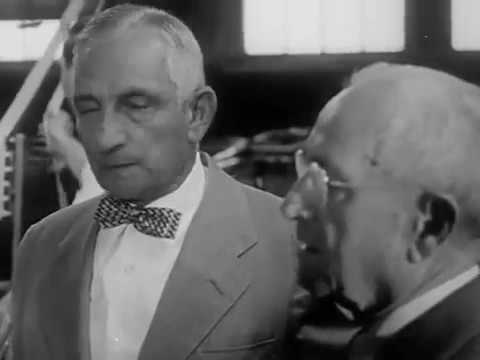 The Schlegel name comes from the German immigrant Charles F. Schlegel, who started a narrow loom weaving business in Rochester, New York in the late 1880s. As a weaver of hem bindings for women’s skirts, the company soon started producing textile trimmings for horse-drawn carriages and the early automobile industry. The first patented brush pile sealing products for automobile doors and windows were developed in the 1930s. After the war, Schlegel expanded into making seals for all types of doors and windows. With new synthetic compounds available in the 1950s, the family run Schlegel business started to make Poly-Bond brush pile weatherstripping and extruded plastic profiles. In the 1960s Schlegel introduced finned brush pile products and a continuous moulded polyurethane process for Q-Lon foam seals. Opening new factories in Europe, Schlegel became a multinational business. In the late 1980s the Schlegel family left the business. The automotive division was sold and Schlegel focused on building materials. Linear UK, a producer of pile weatherstrip, was added to the group. In 2006 Schlegel became part of Lupus Capital in the UK, in 2013 renamed to Tyman PLC. In the following year, brush pile manufacturer Vedasil in Brazil was acquired. Whilst working with customers to design dedicated solutions for their applications, existing processes and products are continuously improved and new compounds explored. The other part of the division originates from the Italian company Giesse, founded near Bologna in Italy by Messrs. Gruppioni and Sermasi in 1965. “Giesse” is a portmanteau word formed by the letters G [gi] and S [esse] in Italian. Lorenzo Lambertini, who joined shortly after the founding of the company, and later his son Marco, played an important role in shaping the company and many of the products known to us today. Already in the early years, Giesse saw the potential of better hardware for windows and doors and therefore started to create products to meet the needs of the aluminium fenestration manufacturers. In 1965 Giesse invented the push-button corner joint that permanently changed the industry. Starting from the 1980s Giesse steadily expanded. Foreign branches in France and Spain were opened, followed by others further afield. In 1990, the Euro cremone, the most produced handle in the world, was introduced. Companies like Tecnozama (zamac machining), Aprimatic (automation) and Valcasa (design) were acquired and new in-house capabilities added. At the same time the plants and warehouses were extended and modernised with robotic-automation. In 2000 the Domina door hinge Domina 3D was introduced. In recent years, developments have focused more and more on GOS (Giesse Open Source) system solutions and on hidden technology: concealed C.H.I.C. hinges and Non Plus (NP) Supra and Ultra handles. In March 2016, Schlegel acquired Giesse and moved its headquarters from the UK to Italy. Both Schlegel and Giesse have a long and unique history influenced by various people, products, technologies and cultures. Over time, several businesses have been integrated and new products developed and added. Two complementary worlds of sealing systems on one side, and hardware solutions on the other side, have now come together to form a unique combination. SchlegelGiesse is fully concentrated on supplying high quality engineered components to the international door and window market.